I believe some of you will find this issue. 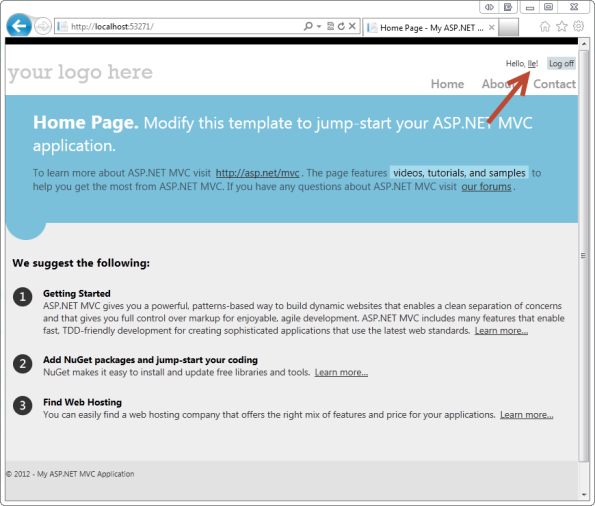 If you create a MVC 4 application using "Internet" template, you will find the "BundleConfig.cs" file in the "App_Start" folder; open it. You will notice only three bundles are added by default. We have to add 2 more to enable the use of Datepicker. Note to use the same ordering. 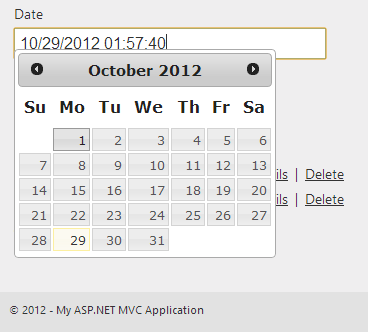 Now if you run the application you will see your Datepicker working. 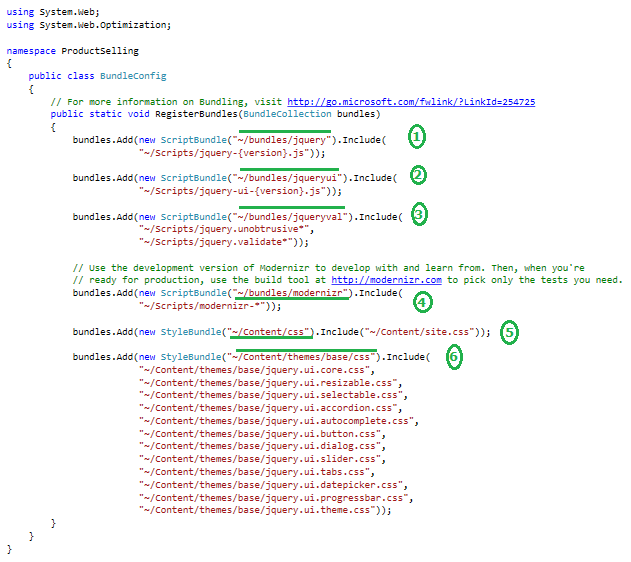 Today post, I will show you how to integrate EF5 CodeFirst nicely with SimpleMembership and at the same time, seeding some of your users, roles and associating users to roles while supporting custom fields/properties during registration. 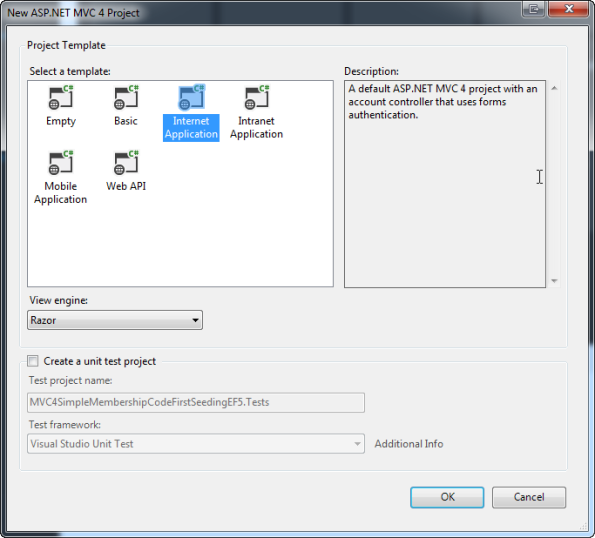 I think this is a nice to have, especially during PoC development where you could be developing features that depend on authentication and authorization while making schema changes with EF CodeFirst. 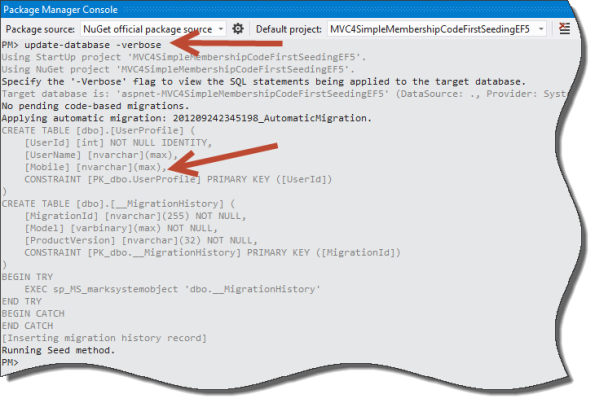 The last thing you want to do is run update-database for migrations and have to manually re-insert/re-seed all your users, roles and associating the two every time you ran migrations (e.g. update-database -force from the Package Manager Console). 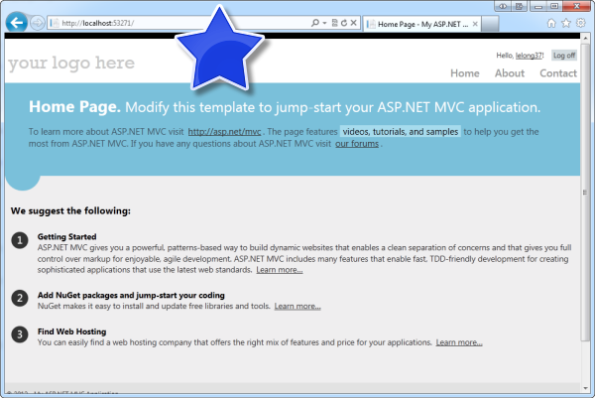 First, create an “Internet Application” ASP.NET MVC4 Project, because this is the only out of the box MVC template that has the new SimpleMembershipProvider wired up out of the box. One of the features I like the most about the SimpleMembershipProvider is it gives you total control of the highly requested “User” table/entity. 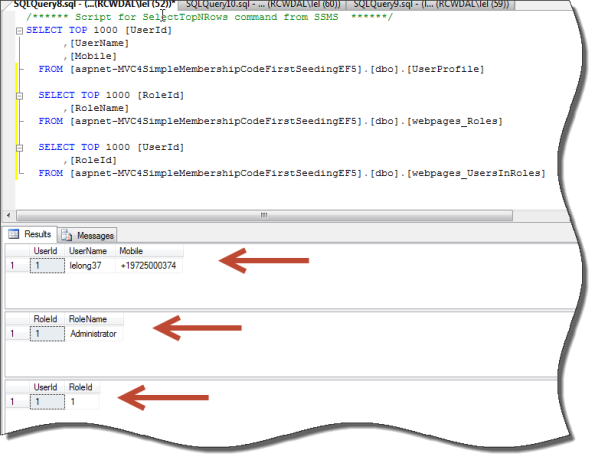 Meaning you integrate SimpleMembershipProvider with your own user table, as long as it has a UserId and UserName fields in your table. Explicitly wire up the providers even though this is implied, so that when do run the “update-database” command from the Package Manager Console for migrations we can use the native “Roles” Api. 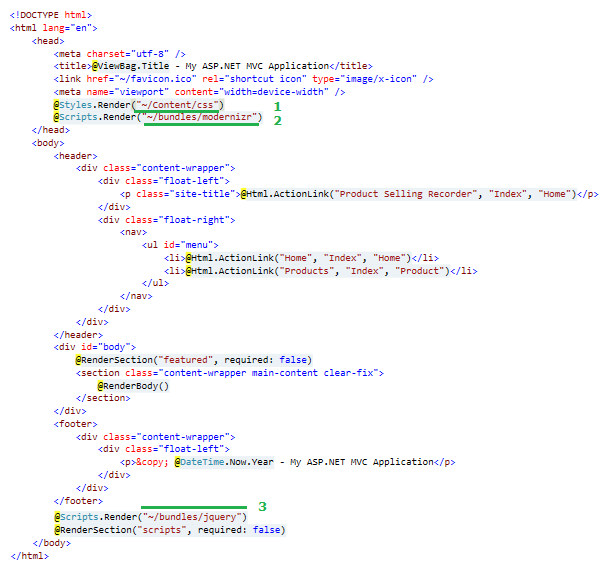 Let’s add a custom field to the User table by adding a Mobile property to the UserProfile entity (MVC4SimpleMembershipCodeFirstSeedingEF5/Models/AccountModel.cs). Seed your Roles and any Users you want to provision, also note the WebSecurity.InitializeDatabaseConnection method we are invoking. 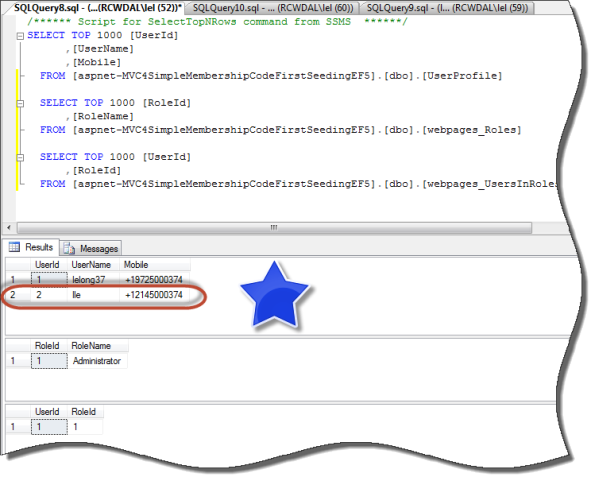 This method is what tells SimpleMembership which table to use when working with Users and which columns are for the UserId and UserName. I’m also going to demonstrate how you can hydrate additional custom columns such as requiring a User’s mobile number when registering on the site. Now, run the update-database -verbose command from Package Manager Console, we are using the -verbose switch so that we can get better visibility on what’s getting executed on SQL. Notice the Mobile field is being created. Let’s go ahead and do a sanity check and make sure all of our Users and Roles were provisioned correctly from the Seed method in our migration configuration, by executing a few queries. 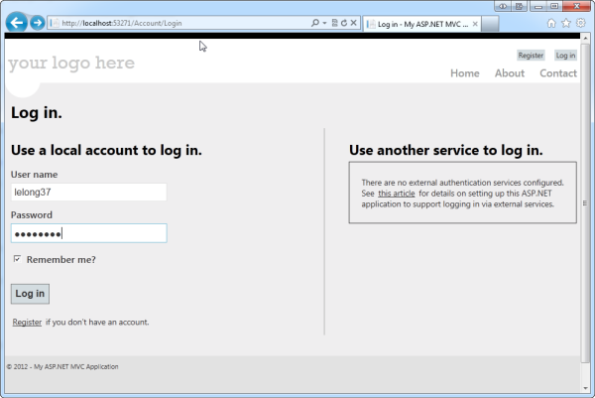 Finally for a sanity check, let’s go ahead and run the app and sign-in with the provisioned user from our Seed method. 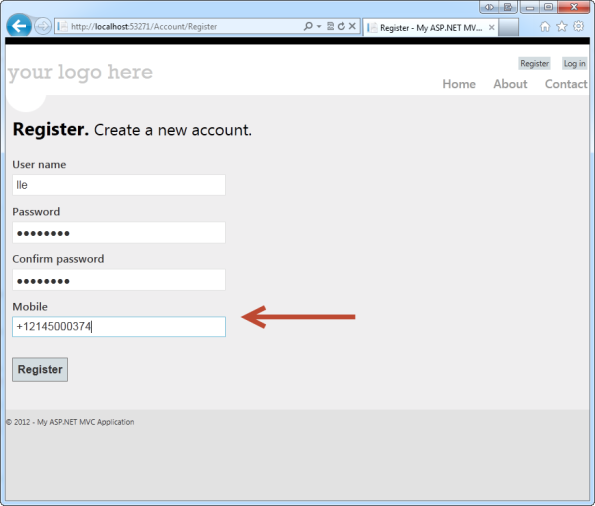 One last thing, let’s go ahead and modify our Register view, Register model and AccountController to gather the user’s mobile number during registration. Let’s go ahead and run our SQL queries again and make sure the mobile number was actually saved to our UserProfile table during the registration. Sweet! Registration successful, with mobile number saved to the UserProfile table.